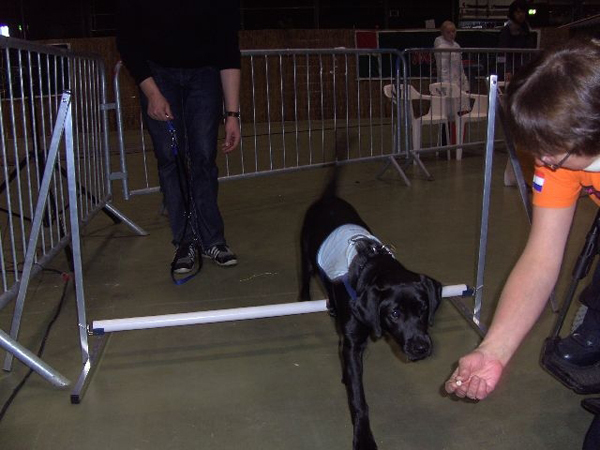 Fayth became her first agility workshop and give later, together with Joy, a demonstration para-agility what was very beloved by the public! 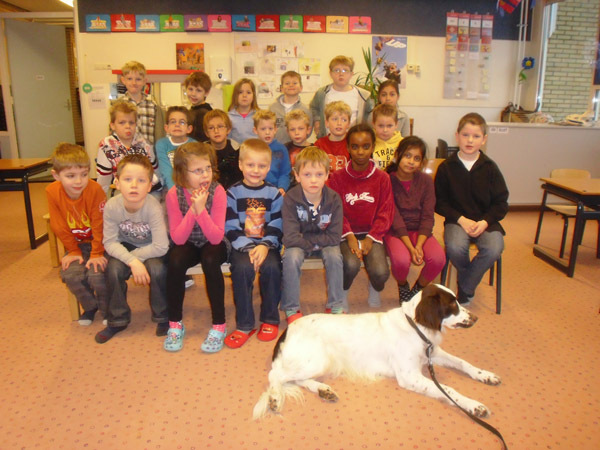 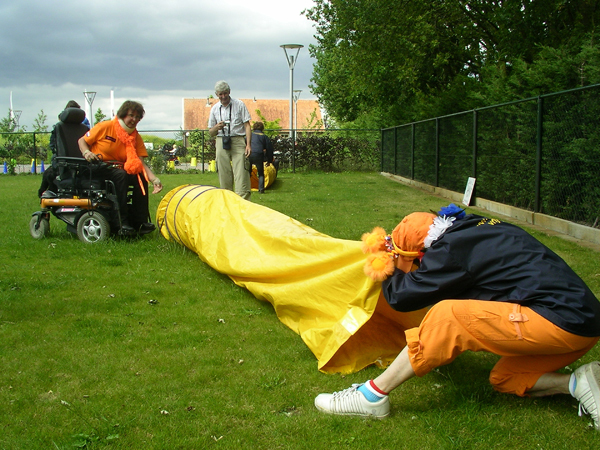 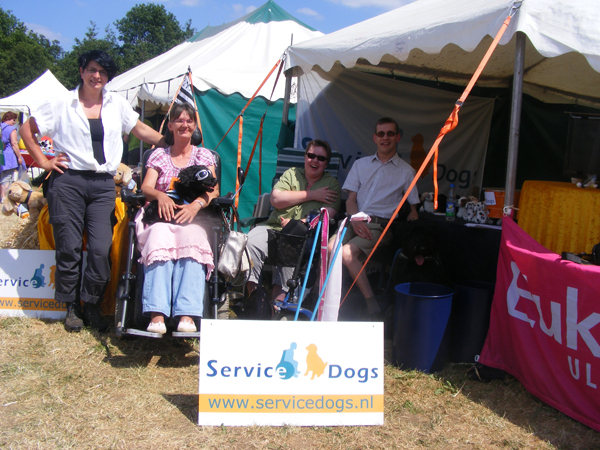 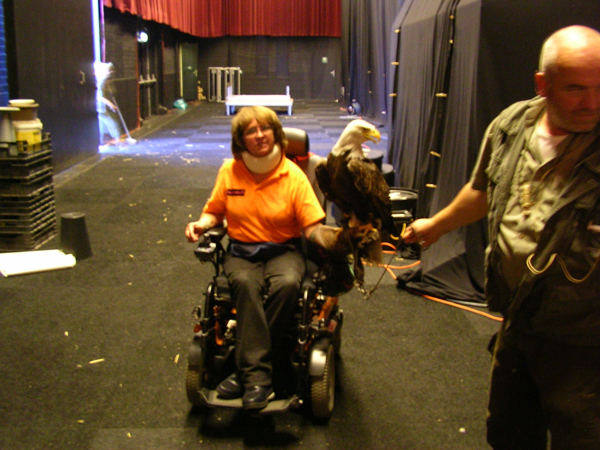 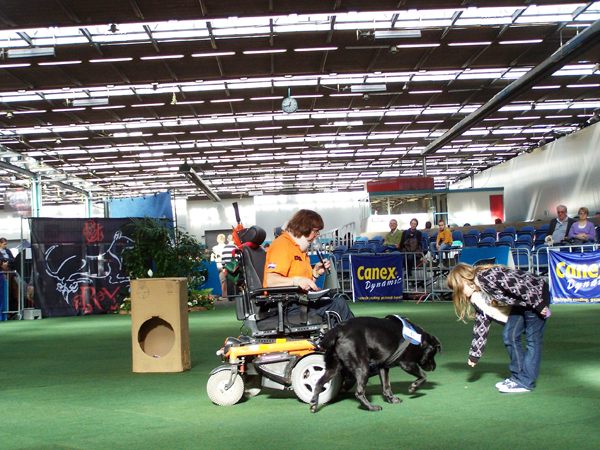 Also this year the organisation of the Show in Utrecht have asked us to give demonstration servicedogs and para-agility together the group agility handlers of the dogshool URV conducted by Wil Lutters. 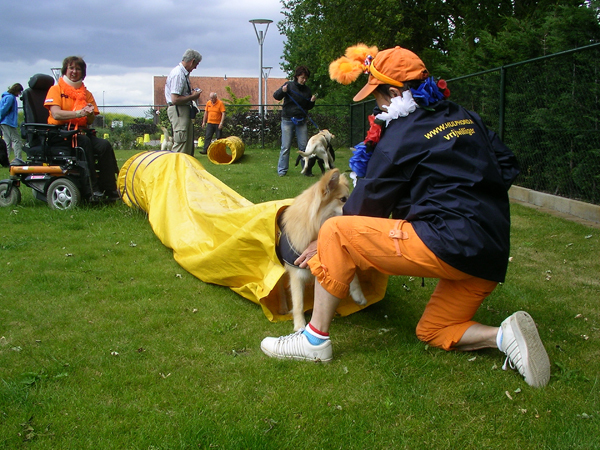 Melissa gives help to throw a little coin on the ground, which Joep would pick up later! 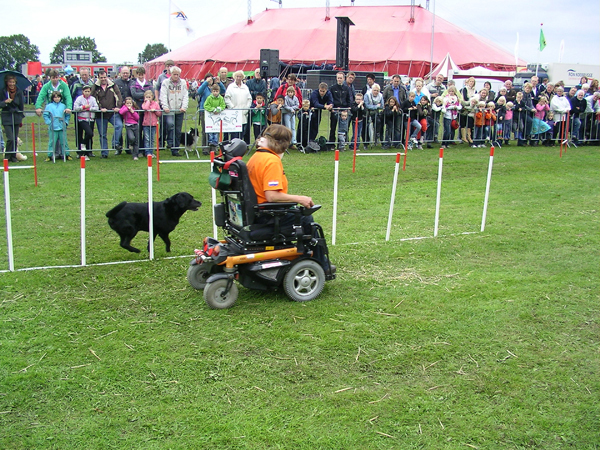 The foundation St. Hulphond (a training-school for servicedogs) have invited us to give demonstration para-agility for clients and volunteers of this foundation. 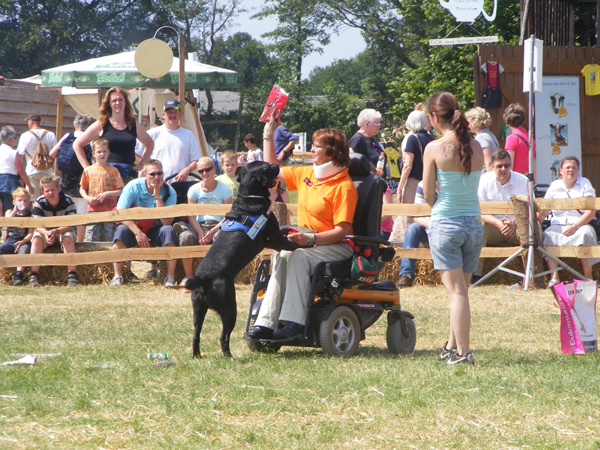 The waether was very sunny and they look to the demonstrations with a lot of interest. 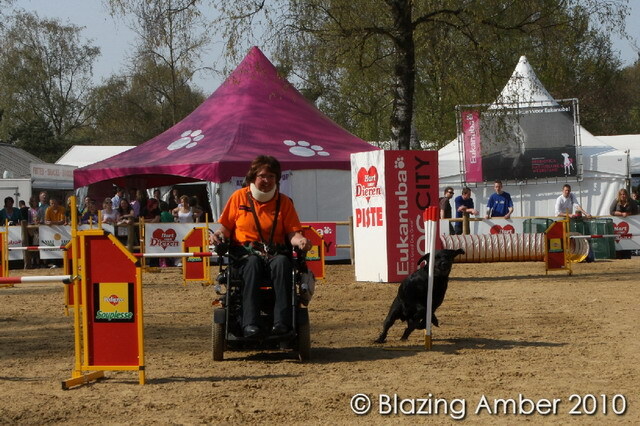 their dog the possibility to get acquainted with agility by accompaniment of one of us. 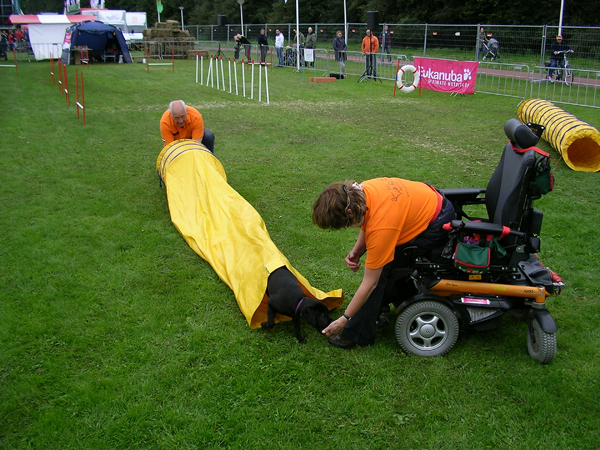 A lot of fun for the dogs and their owners! 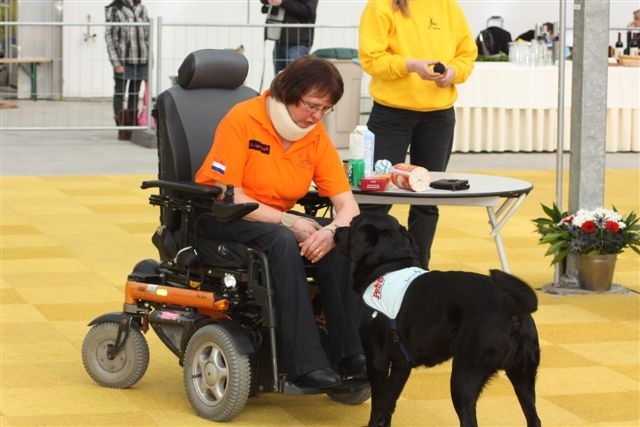 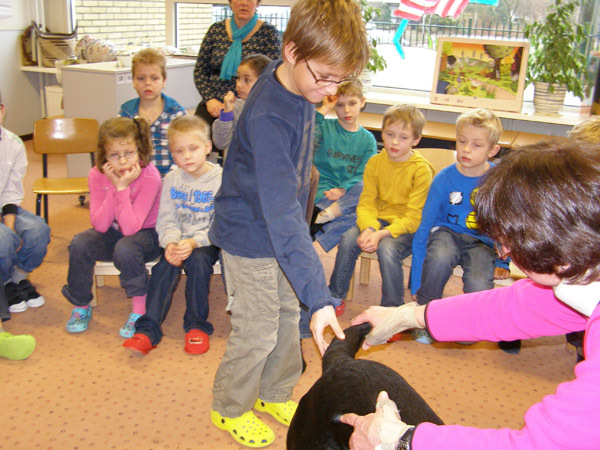 On the recreation-area Bussloo was organised on sunday 25 April the " Walk with your dog" with proceeds for " St. Hulphond ". 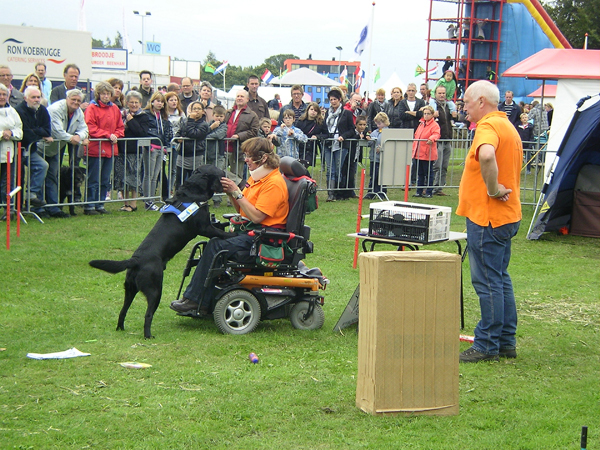 Just like last year we have worked together the group of demonstration agility of the Alphense Dogshool of Alphen a/d Rijn.